First Paris, then Brussels: For the European Parliament elections, Emmanuel Macron wants to apply his winning formula to the EU level. But the hurdles are high, and Angela Merkel is not on his side. As the European election campaign approaches, Emmanuel Macron is going back to a familiar playbook: He is promising to use a progressive centrist movement to leave behind the classic right/left framework. He made this bet in 2017 for the French presidential election—and won. Macron continues to follow this logic today, describing himself and his party, La République en Marche, as the antithesis of Viktor Orbán’s right-wing nationalist vision of Europe, and seeking new partners all across Europe. The French president argues that an alliance of pro-European “Democrats and Progressives” will be better placed to address new divisions between “open” and “closed” societies than the existing Europe-wide party groupings which are aligned along the traditional left-right-divide. Macrons new forces won’t be able to replace the European People’s Party (EPP) as the strongest grouping in the European Parliament, but he would be glad to assume the role of kingmaker, thereby increasing his influence on the European stage. Many of the concepts from his 2017 campaign are being reused. Just as he told French voters that his “Flexicurity” model would bring both an economic upswing and greater social protection, he now vows to live up to Europe’s promise of prosperity by combining open markets with protective measures like a “Buy European Act” and common social standards. France’s return to diplomatic heavyweight status is reflected in Macron’s demand for a “sovereign”—i.e. strong and unified—Europe as a response to the unstable relationships with the USA, Russia, and China. And Macron presents himself and his movement as the only effective answer to right-wing populism, to Marine Le Pen in France, and to Orbán and his partners in Europe. Macron’s program is coherent, both on the national and international level. But as he tries to transfer his blueprint for success to Europe, it’s becoming obvious that this is a different challenge. Macron can no longer rely on being a fresh face. Instead, he has to count on his authority as the President of France, which has begun to diminish in recent months. And Macron has only had limited success on the EU stage so far. For Macron’s strategy to work in the European campaign, it needs to fulfill three conditions: the movement must achieve a certain success in his own country; it must find reliable partners in as many EU member states as possible; and last but not least, it must be a convincingly pro-European force that positions itself beyond the traditional party-political divisions. It may sound paradoxical that national context is important for, of all things, the European elections. Yet Macron’s authority as Europe’s creative director heavily depends on his success within France’s border. This is all the truer since the French leader has declared the elections a top priority and will, unlike his predecessors, make himself the face of the campaign. 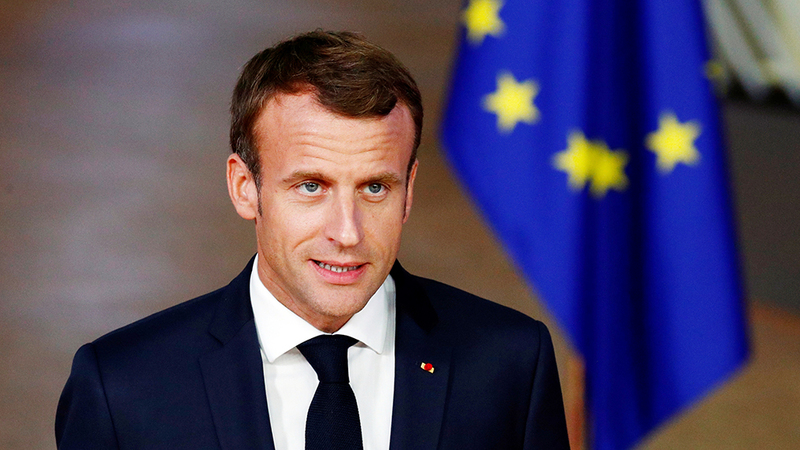 “I will do my best to ensure that progressives, democrats, and those for whom I speak are heard”, Macron said on September 29 in an interview with Le Journal du dimanche. Le Pen won’t give Macron any peace in the coming months. For her, this election is a one-off opportunity to avenge her defeat in the 2017 presidential election. Her goal is to shore up her party’s position in the European parliament.Macron must keep something else in mind: European policy credentials are one thing, electoral success another. The French president is a professed believer in European integration, but this was not the reason for his victory in 2017. In France, as in many other European countries, the EU continues to be a target of criticism. Even if radical steps like leaving the euro continue to be rejected by large majorities—Le Pen was calling for a euro-exit until her electoral defeat—the French left in particular often criticizes Brussels’s supposedly excessively liberal economic policy. And pro-Europeans are disappointed with the meager results of Macron’s EU reforms, regardless of whether intra-European blockades or German reluctance are responsible. Moreover, Macron’s road to victory may become more difficult if domestic policy issues dominate the election. The fast pace at which the government is reforming the labor market, the education system, and social policy is unsettling many French; the promised positive effects have so far failed to materialize. In order to be successful, Macron’s movement urgently needs some tangible successes. A lot can happen before May 2019, but the most recent polls give the president reason to worry. A large majority of respondents have negative views of Macron’s record. He is considered arrogant and, after the recent resignations of the environment and interior ministers, a weak leader. The fact that both ministers were symbols of Macron’s cross-party government (Nicolas Hulot as an environmental activist without any background as a career politician, and the interior minister Gérard Collomb as a former socialist) raises questions about the durability of any new alliances. The European elections could turn into a neck-and-neck race between Macron and Le Pen. An alliance of pro-European forces can, moreover, only have success when all or at least most EU member-states are represented. There is more to this than having representation from seven member-states, the minimum required to form a grouping in the European Parliament. For only a broad-based movement can reach the critical mass necessary to change the balance of power in the European Parliament and do justice to its claim of pan-Europeanism. Two options are conceivable: either an entirely new movement, like the one Macron successfully created in En Marche!, or a movement based on already existing forces. Of course, the first would have the advantage of embodying the renewal Macron is advocating. Yet because of the complex relations inside the EU and the growing time pressure, the second option is more likely. The main liberal grouping in the European Parliament, ALDE, appears to be interested in joining forces. The acting leader, Guy Verhofstadt, is already planning to campaign side by side with Macron: “We share not only the same analysis of the problem but also have more or less the same proposals. [Macron’s] speech in the Sorbonne was well received by the ALDE parties,” Verhofstadt told Ouest France on September 9. It’s not yet clear what the cooperation will look like, but the goal is certain: ideally, after the election, the two sides want to form a grouping. In Germany, too, some (liberal) FDP politicians have long called for cooperation with the French president. 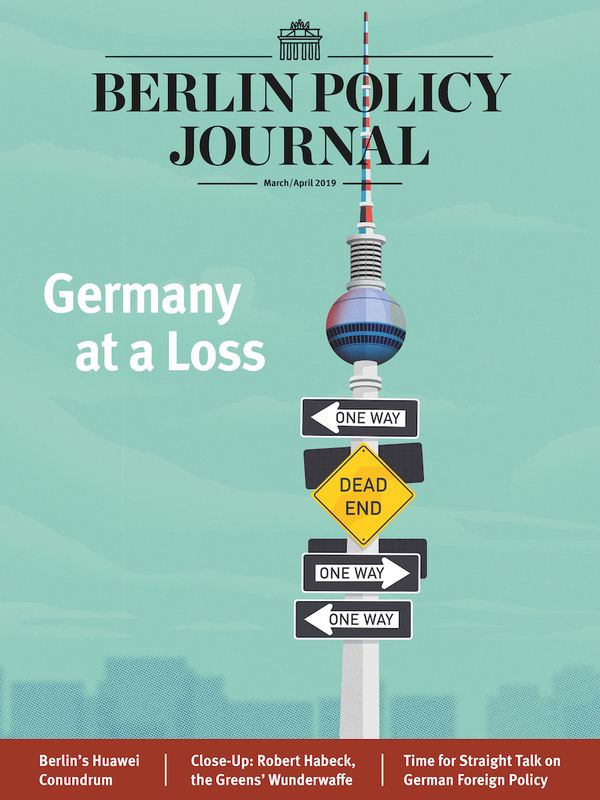 While some differences seem irreconcilable, such as the question of a budget for the Eurozone, what matters is that Macron and other liberals share a common market-liberal and reform-oriented approach. Negotiations are underway to make Margrethe Vestager, the liberal EU competition commissioner from Denmark, the future Commission president on the strength of this alliance. As fleshed-out as this plan may sound, such cooperation could be tricky for Macron. For one thing, the liberal label can be a burden in parts of Europe, especially in France, where many take it to mean growing social inequality and the dismantling of the welfare state. This danger is clear to Macron, who advocated for a “Europe that protects” in the presidential campaign and today ostentatiously criticizes the EU’s “ultraliberal” course. For another, the pro-Europeans cannot allow themselves to be imprisoned by party-political logic. If anything, Macron’s strategy is based on overcoming the traditional dividing line of right and left. But if he only cooperates with the liberals in the European elections, he would no longer be able to credibly advocate this strategy. Indeed, the pro-European alliance that Macron desires is meant to thrive on a diversity of party-political preferences. Just as there is in France, where for the first time in the history of the Fifth Republic socialists, conservatives, and civil society representatives are sitting at the same cabinet table, there should also be an amalgamation of various groupings, of party families, in Europe. The motto: for Europe, against nationalism. Names of possible allies are already circulating. According to the most optimistic predictions, the conservative president of the European Council, Donald Tusk, the liberal prime minister of the Netherlands, Mark Rutte, the socialist Spanish prime minister, Pedro Sánchez, and the radical-left Greek prime minister, Alexis Tsipras, are all supporters. But officially nothing has been determined yet. What looks promising on paper will have to overcome a lot of obstacles in practice. It is far from certain that the bigwigs from the two main groupings, the EPP (Christian Democrats) and the Socialists & Democrats (Social Democrats), will be prepared to turn their backs on their political families: that was only possible in France because the established parties had lost their credibility and thus any chance of electoral success. For many of their representatives, working with En Marche! was a question of political survival. It’s not only that the political relationships are more complex in a European context. Some of the established “people’s parties” are also in better shape than their French counterparts, which makes radical reorganization more difficult. It’s also unclear how exactly cooperation would work in an alliance based on the common goal of combating nationalism. One wonders what actually unites Tsipras and Tusk with regard to the future of Europe. Macron propagates the idea of a dichotomy between democrats and populists in order to mobilize as many pro-Europeans as possible for the elections. But this also generates another effect: the urgently necessary debate about the conservatives’ and social democrats’ thoroughly different concepts of Europe, which go well beyond populism or anti-populism, is swept under the rug. This is not just dangerous for the parties, as they risk further blurring the lines between them; it also prevents a real European debate about reforming the eurozone, migration policy, or the design of a social Europe. At the moment, it’s others who are showing that clear political positioning and transnational movements are possible. Other new formations are staking a claim to build a pan-European movement. They are in the process of forming transnational lists. This is a good thing for European democracy, though it could weaken Macron’s alliance. The strongest competition certainly comes from Yanis Varoufakis, the former Greek finance minister and the founder of European Spring. With his pro-European, progressive vision, Varoufakis is doing more than simply challenging the En Marche! claim to be unique. He is, by virtue of his left-wing roots, reintroducing the divide between left and right that Macron’s allies reject, and forcing conservatives and liberals to keep things in perspective. Macron and his party have picked the basic tone for their campaign before the others have. Yet now the detailed work of coming up with a coherent strategy begins. The results of the “Grande Marche pour L’Europe”, a “listening tour” where En Marche! activists talked about Europe with everyday citizens, have been analyzed and are meant to provide the basis of the campaign program. Candidates have been able to apply for the electoral lists of the République en Marche for a few weeks now; the final list will be released in January. In parallel, better communication of the positive effects of Macron’s reforms is supposed to help improve his low poll numbers. In Berlin, Macron has hardly been able to get anywhere. Angela Merkel opposes an approach that assumes the division of Europe. Outspoken criticism came from Norbert Röttgen, the chairman of the Foreign Affairs Committee in the Bundestag: “If Mr. Macron would like to be the leader of a certain camp in Europe, he cannot be at the same time the leader of Europe,” he told Le Monde on September 6. Furthermore, it remains axiomatic that the CDU and CSU belong to the EPP. Macron might have tried to attract progressive parts of the EPP by pointing to the fact that the grouping is also home to Viktor Orbán’s party, Fidesz. Yet the CDU preempted any such attempt by making a decisive contribution in the European Parliament to the triggering of the Article 7 procedure against Hungary. Cooperation with Macron would be delicate for EPP politicians, because if they do in fact decide to kick Fidesz out of the grouping before the 2019 elections, they would risk losing their status as the strongest parliamentary force. Another question about Germany will become urgent if Macron has success with his pan-European movement. How can the two countries continue to work on Franco-German compromises in European politics? So far, France has sent a clear signal: Without Germany—in other words without the governing CDU/CSU—progress in Brussels is not possible. And yet this progress has so far failed to materialize. 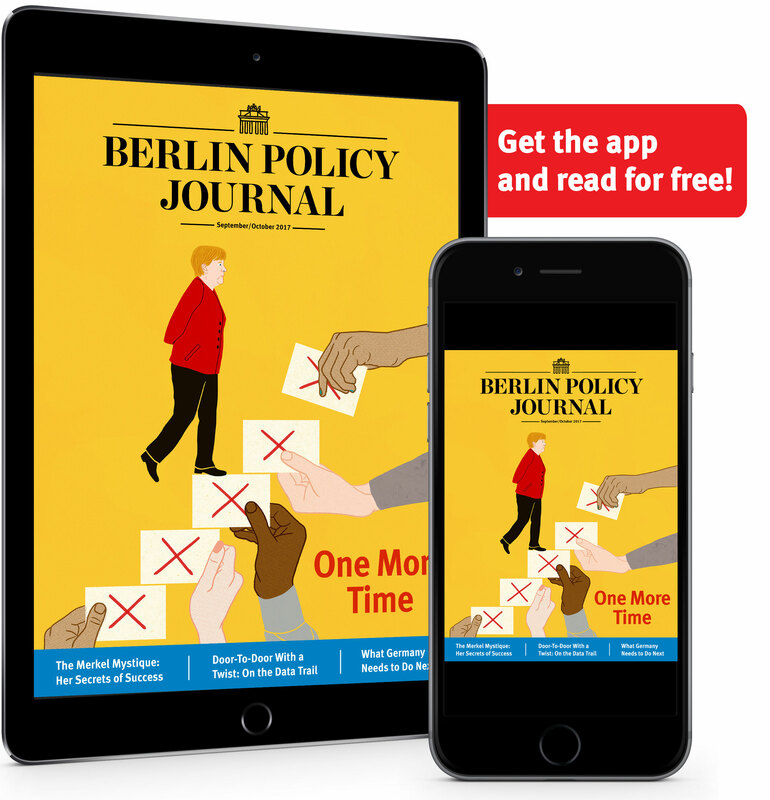 By the time of the elections, Merkel and Macron will not just be partners as heads of government, but also competitors as party representatives. That makes it more difficult to put forward Franco-German initiatives for Europe. After the election, there will certainly be a new window for progress. But even if it’s hard to imagine an open rupture in Franco-German coordination, this will take place under new conditions, whether across new front lines or in new alliances. is a program officer of the Franco-German Relations program at the German Council on Foreign Relations (DGAP) in Berlin.